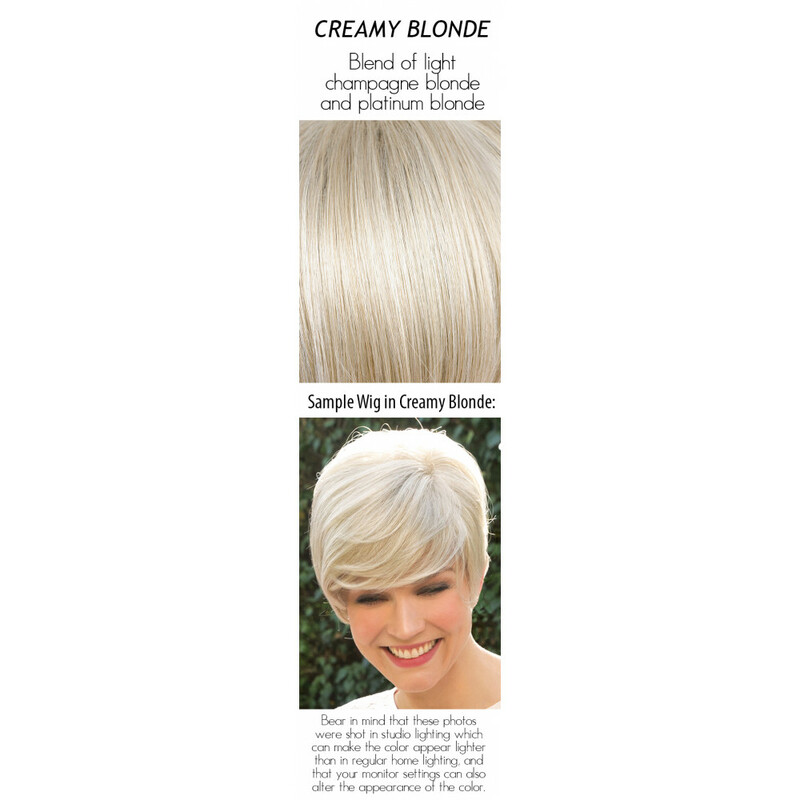 Brandi wig by Amore has extra long layers that are cut to frame the face and neck in an extremely flattering and feminine style. 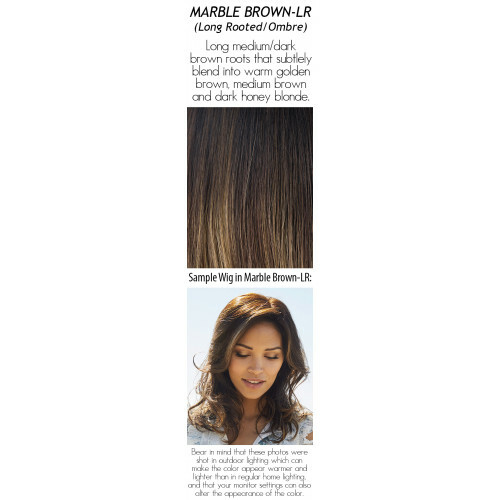 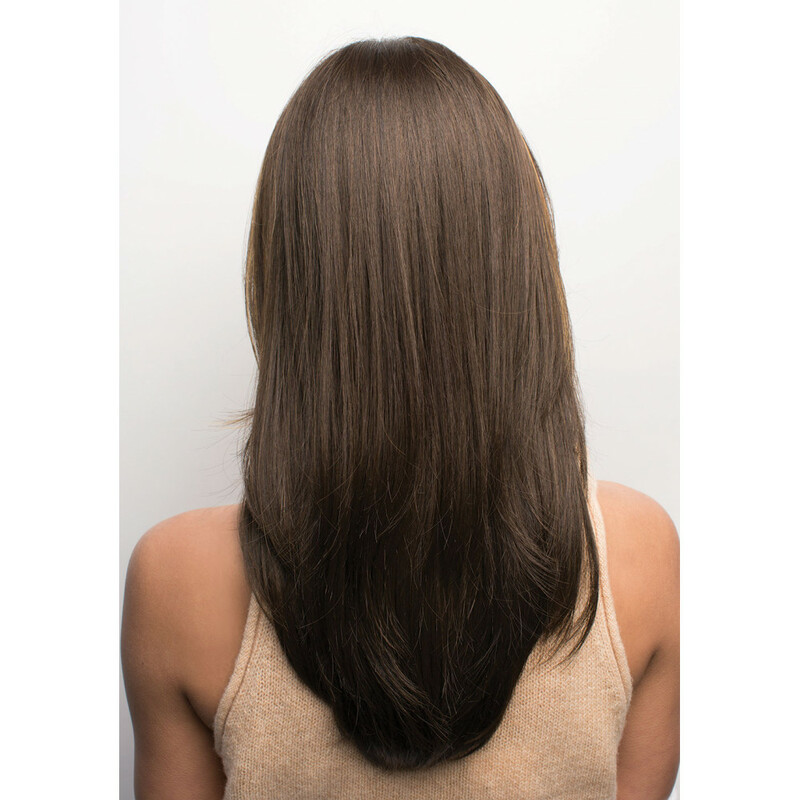 The double monofilament top is both extremely soft and comfortable, and adds natural movement and the look of growth from the scalp. 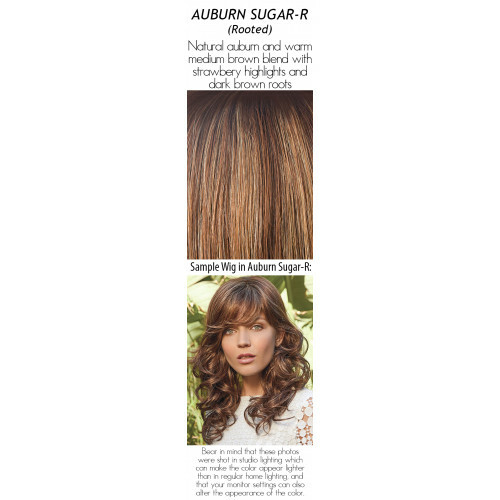 Part the hair anywhere you want. 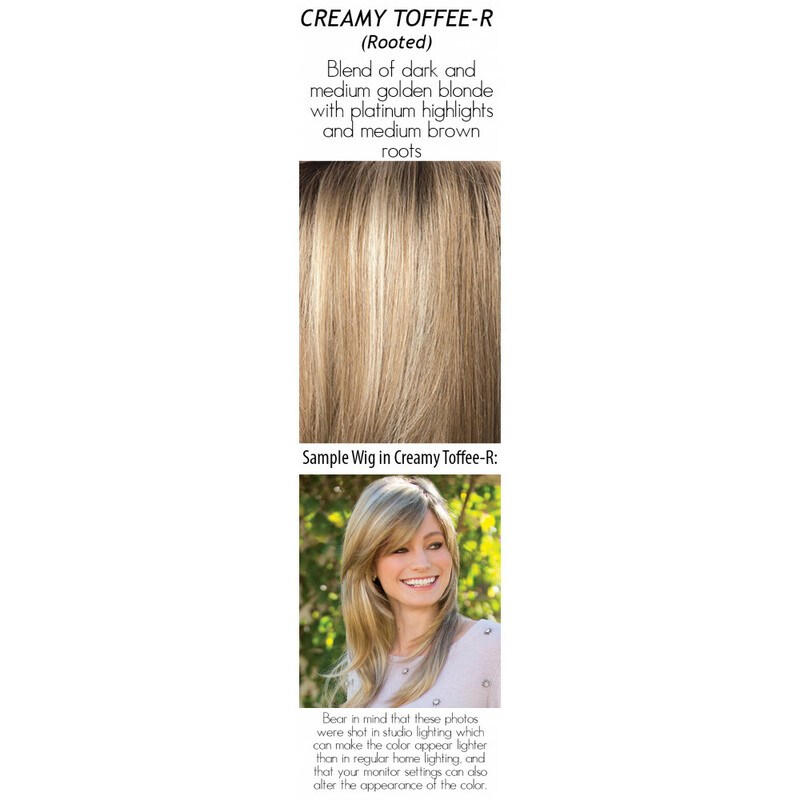 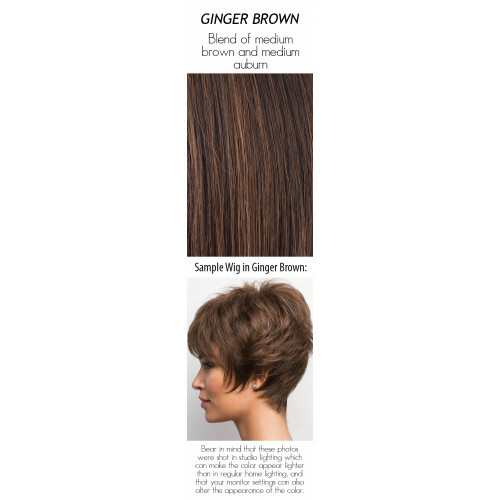 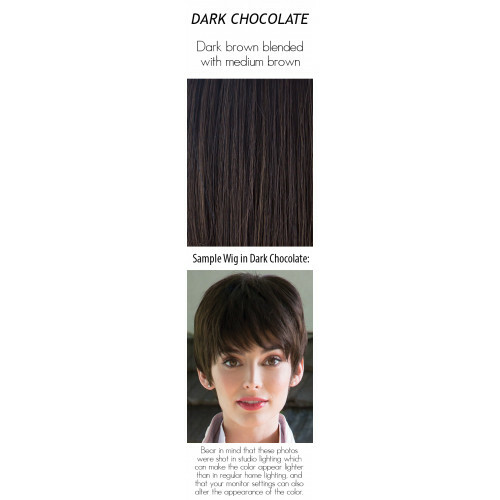 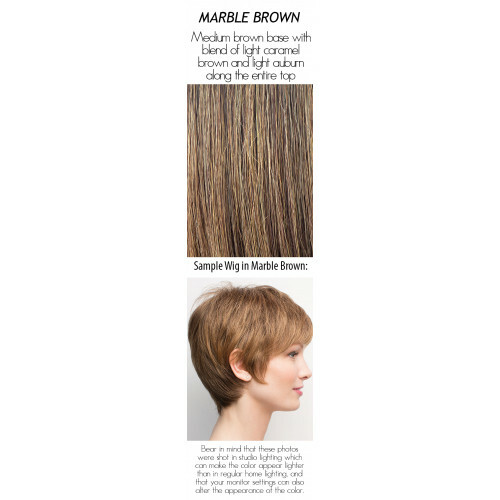 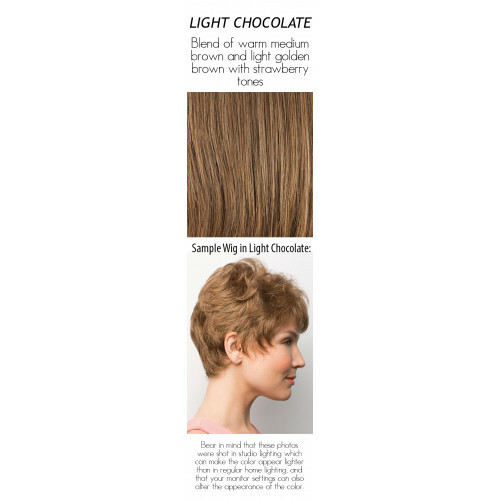 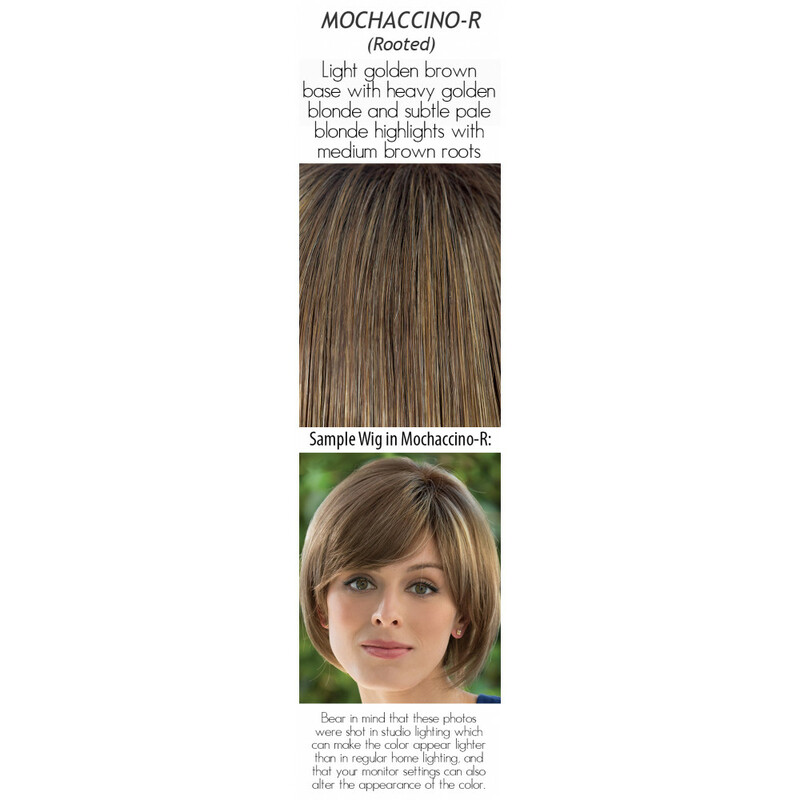 Within the Amore Designer Series from Rene of Paris you are sure to find the wig that's just right for you -- a superb product that fits you so perfectly. 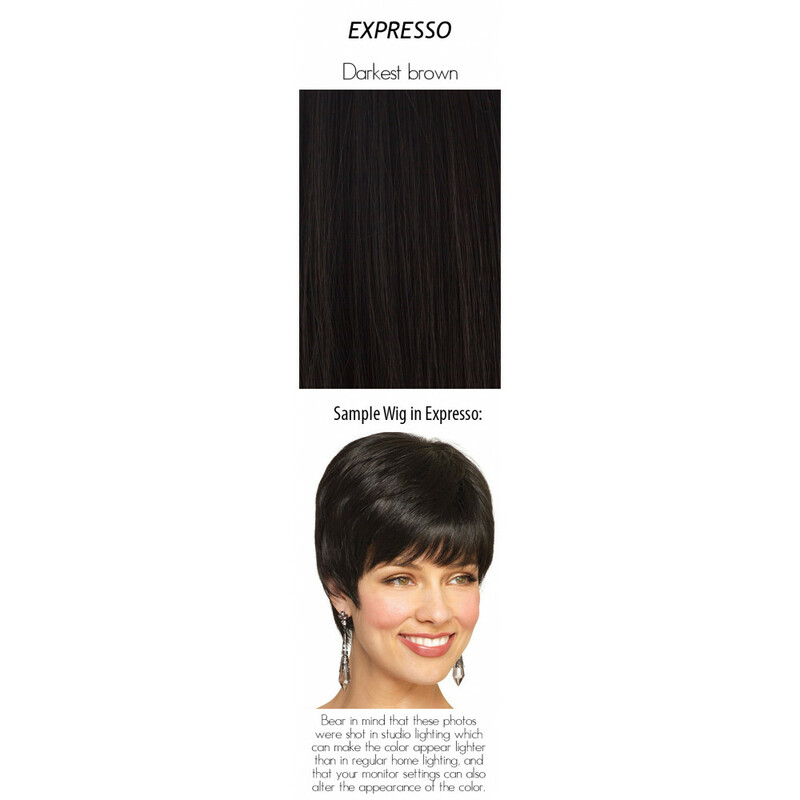 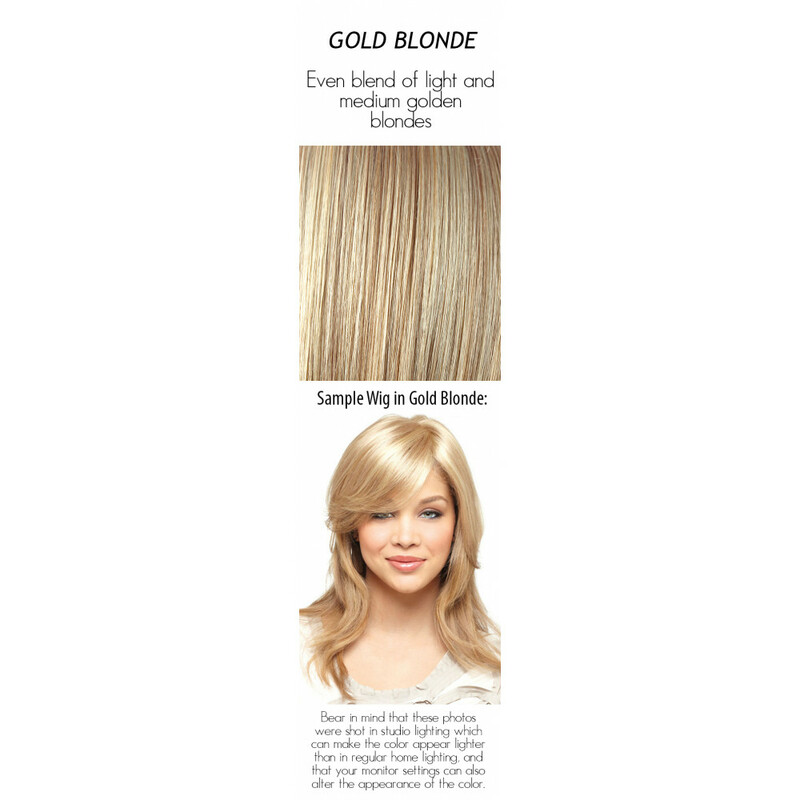 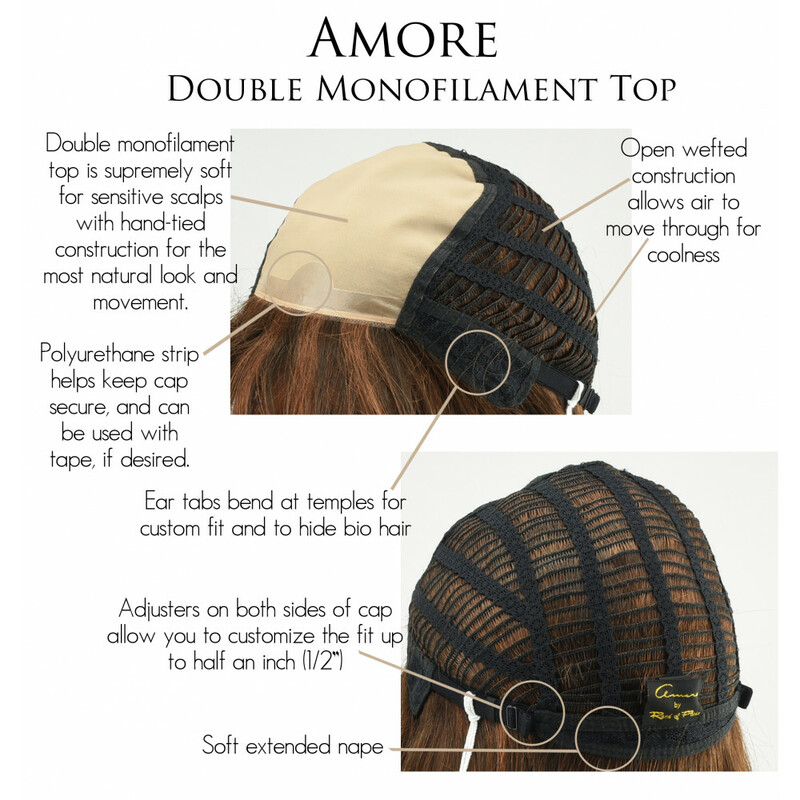 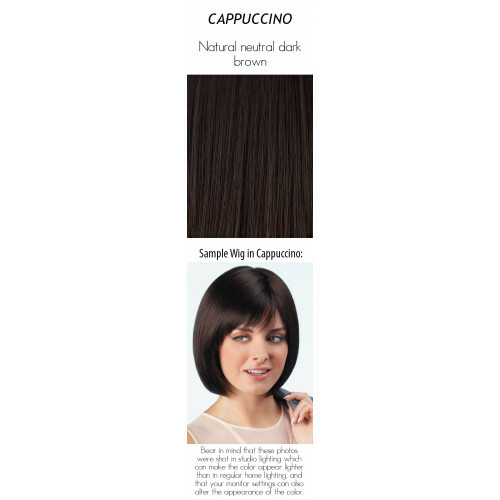 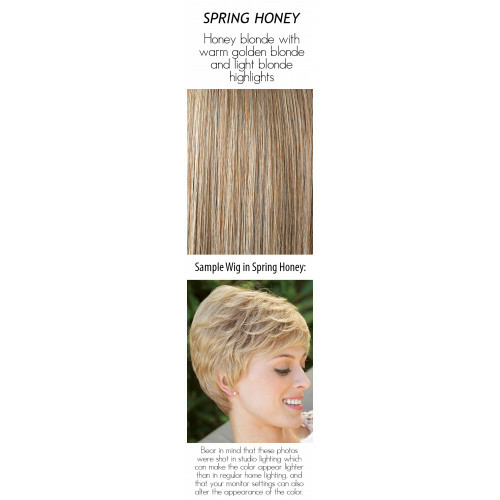 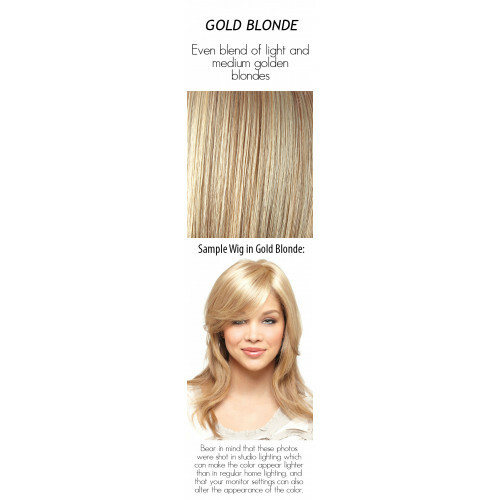 Each Amore wig has a two-layer monofilament top construction. 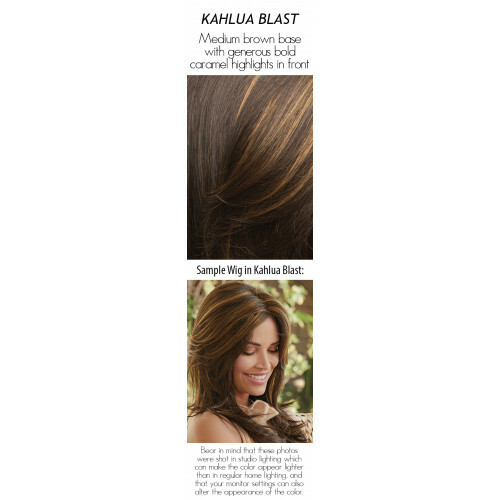 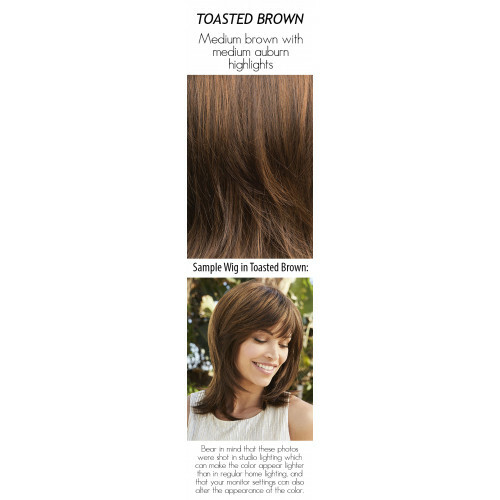 The result is unparalleled comfort with a natural look that's uniquely you! Amore combines a hand-tied top double-monofilament top construction and calibrated machine wefting at the sides and back. 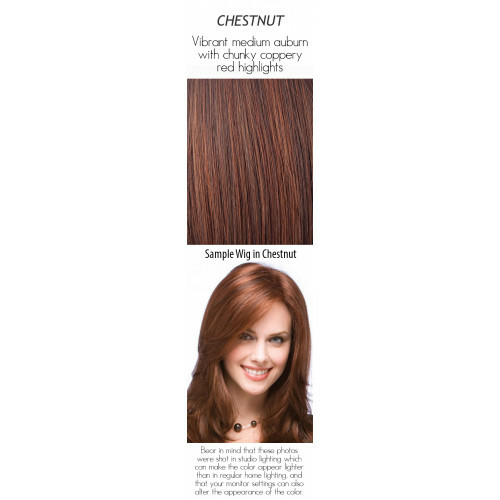 A polyurethane tape tab at the front completes this beautiful, carefully crafted product. 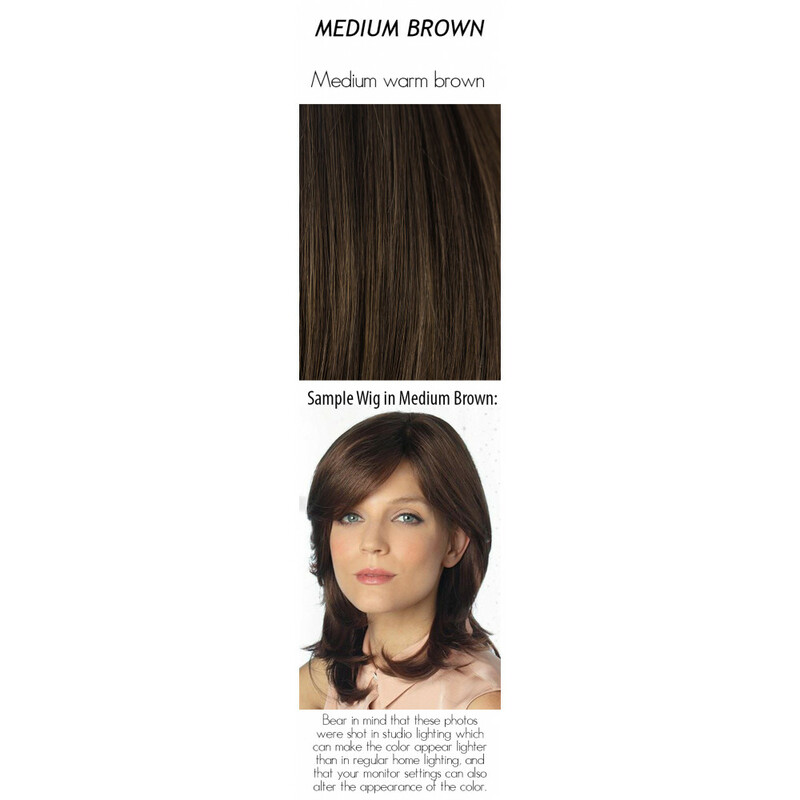 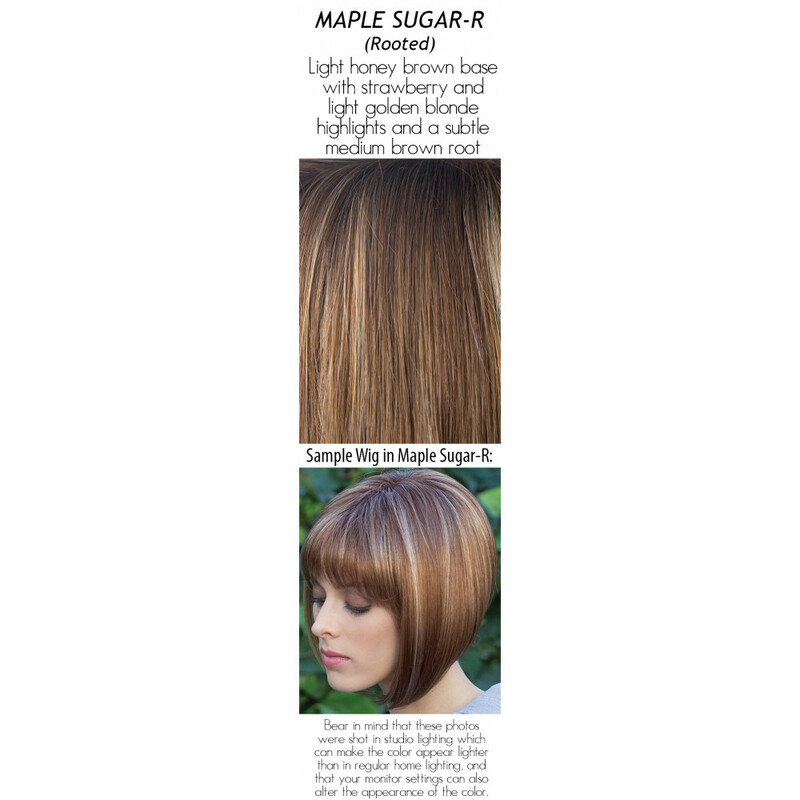 Hair Lengths: Fringe: 9.25" | Crown: 14.5" | Nape: 13.0"
Images in the Color Selection Drop-Down Menu are for color selection only. Since Amoré swatches are very tiny and they don't photograph all wigs in all available colors, we've shown a different Amoré or René of Paris/Noriko wig in that color choice to get a better idea of the color than the swatch provides.